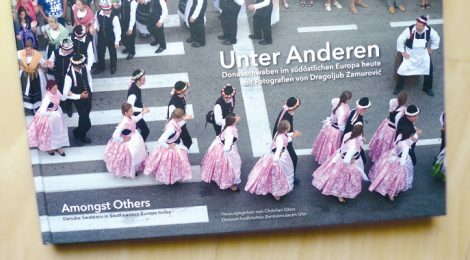 In 2016 I had the pleasure of translating this exhibition catalog for “Donauschwäbisches Zentralmuseum” in Ulm, Germany. The exhibition features photos by Dragoljub Zamurović and the stories of so called “Danube Swabians” he photographed, Swabians or their descendants who emigrated to Eastern European countries. It was an interesting task, both because the stories are fascinating and because there is a lot of terminology used by the “Danube Swabians” that simply doesn’t have an English equivalent. The book also includes some German poetry that needed to be transferred to English. I simply enjoy doing that very much.